Inspired by popular sports cars, the Eleaf iStick Pico S with ELLO VATE is meticulously designed to be the most visually appealing setup, having a bare battery tube with the design of corroded texture, a resin 810 drip tip and decorative 7-color LEDs. 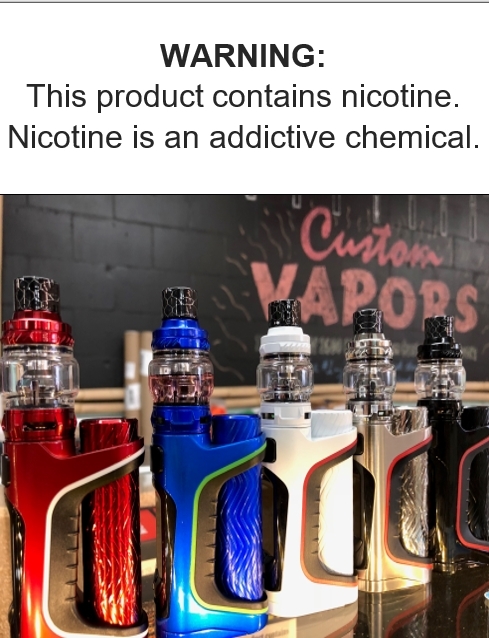 In addition to its aggressive appearance, the iStick Pico S kit also utilizes new HW-Net and HW-Multihole coils to present an unprecedented vaping experience. It is capable of firing up to 100 watts by single 21700 or 18650 battery and a high drain Avatar AVB 21700 battery (4000mAh) is included in the kit.